Christmas isn’t just about being with family members and close friends. It’s also a great time to reconnect with people we don’t see often, like our relatives who live out of town or friends who reside far away. Giving is the essence of the season. We love to give gifts to people we love - our parents, family members, barkada, employees, neighbors, colleagues and even strangers. But this feeling can be ruined by external factors like traffic and lack of time. Who has the time to shop for gifts all day when you have so many things to do at home and at work? 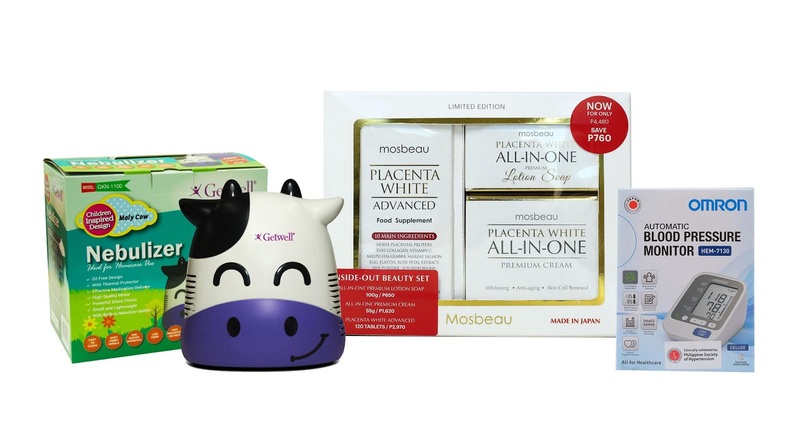 Leading health and beauty retailer, Watsons, helps solve this problem by being the one-stop destination for the best customized and themed gift sets for everyone in your gift list, whether your loved one is into health, fitness, skin care, hair styling, basic essentials and so on. Watsons has a wide selection of health and beauty gift sets that will make your holiday shopping easier and more convenient. For Watsons Card members, shoppers can get two times their bonus points when they buy exclusive gift sets until December 26, 2018. For more information, visit www.watsons.com.ph, follow @watsonsph on Facebook and Instagram. For exclusive benefits and promos, get the new Watsons Card. Membership is free and non-expiring. Get one point for every P200 spend at Watsons.